ABC is slowly but surely working towards a new season of The Conners. Deadline reports the network has signed three cast members for a second season of the Roseanne spin-off. The sitcom follows the working-class family of Roseanne and Dan Conner (John Goodman) including their three children Becky (Lecy Goranson), Darlene (Sara Gilbert), and D.J. (Michael Fishman), as well as Roseanne’s sister, Jackie Harris (Laurie Metcalf). 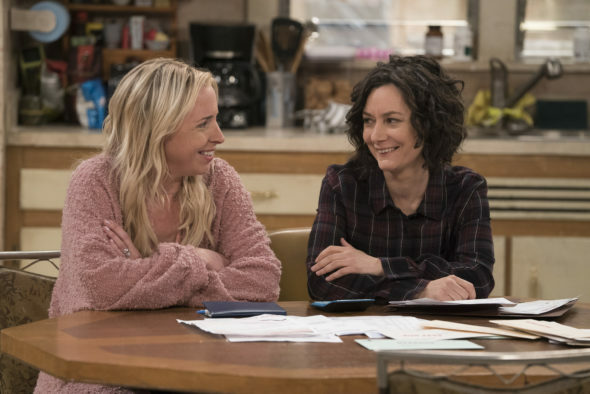 While ABC has not yet announced a season two renewal for The Conners yet, Deadline says the network has signed stars Sara Gilbert, John Goodman, and Laurie Metcalf for a new season. The deals are not a guarantee there will be a second season, but it seems highly likely The Conners will return to ABC for another season. What do you think? Are you a fan of The Conners? Would you watch a second season? More about: ABC TV shows: canceled or renewed?, The Conners, The Conners: canceled or renewed? My husband and I love The Conners! Great characters and lines. We like it even with out Rosanne and her snide remarks! We want to see a Season 2, 3 and 4! It’s a Fantastic show! The Conor’s is a great show….much improved from Rosanne! I hope they renew another season. I enjoyed watching even if Rosanne is not on the show. Good comedy. I fell in love with the family during the early show. It’s so nice to have the other characters have their time in the spotlight now. Roseanne who? This show is SO much better, and I hope they have as long a run as the original. No, I started watching it when Roseanne was on it, but this program needs her. I really don’t understand the reasoning over this. A tweet? There is so much WORSE said on tv, like the View, etc. Please change your minds ~ we need some good comedy programs.